I was dismayed to learn that permission had been granted for demolition of this fine Georgian corner building at 116 Jubilee St which has been a popular landmark for almost two centuries. Yet research this week by members of the East End Preservation Society has revealed that – due to a technicality – a decision has not, in fact, been made and it is still possible to lodge objections which must be taken into account by the council. Read the Society’s letter below accompanied by instructions explaining how to write your own objection. 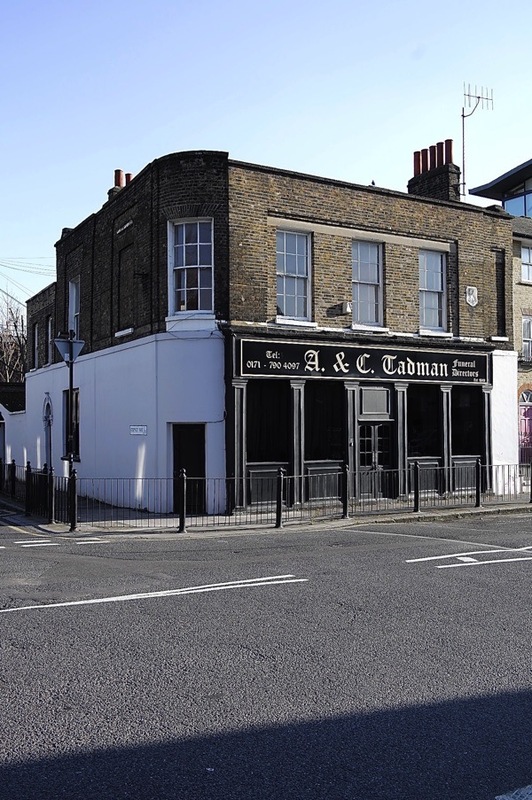 There is no time to waste because this is the last chance to save Tadmans in Stepney. Jubilee St was laid out when Commercial Rd was constructed at the beginning of the nineteenth century to bring traffic from the docks to Aldgate and this building is one of the few from the Mercers’ Estate that survived both the blitz and the post-war slum clearances. Terraces at the north end of Jubilee St give a clear idea of how the entire street once looked, before the cityscape was torn apart in the mid-twentieth century and inferior modern buildings replaced their dignified predecessors. 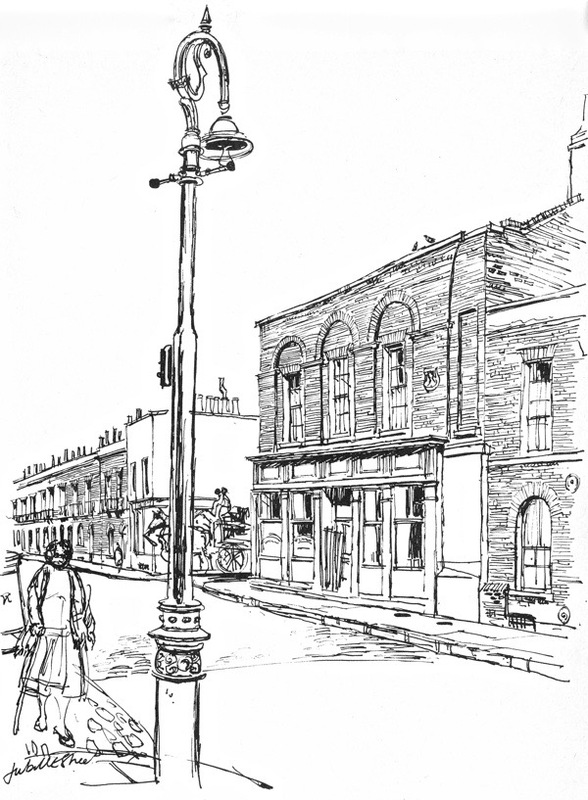 Occupying the street corner with Stepney Way, it was built as The Mercer’s Arms and records of landlords date back to 1830. It became a greengrocer after 1915 and then Tadmans the undertakers in the seventies, moving to Jubilee St from Cable St. Tadmans have overseen the safe journey of generations of East Enders from this world to the next. As well as Stepney, they have parlours in Bethnal Green and Walthamstow. Recognising its distinctive quality, Geoffrey Fletcher drew Tadmans in Jubilee St and included it in his seminal book of neglected yet significant buildings in the capital, The London Nobody Knows in 1962. Many of those London landmarks Geoffrey Fletcher recorded in his book have been saved and there is still hope that Tadmans can be too. We write to express our strong opposition to the demolition of No. 116 Jubilee Street. 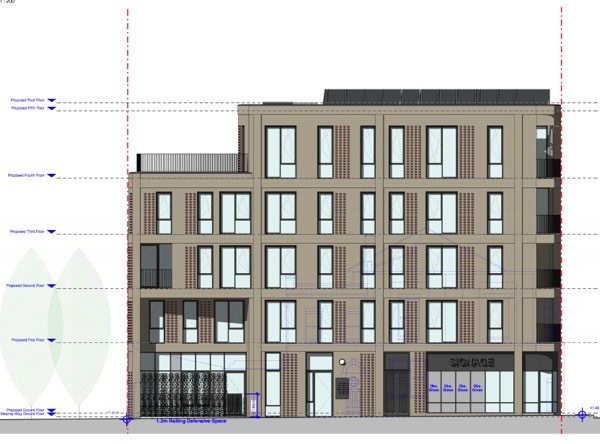 This building is the subject of the current, undecided application PA/18/01423 and the approved application PA/18/00104. If you are accepting comments on PA/18/01423 we would like you to count this as an objection. No. 116 Jubilee Street dates from the early nineteenth century and is a fragment of the Mercers’ estate which extended east to Jamaica Street. This building, together with the surviving group (Nos 175-93) at the north end of Jubilee Street, displays the modest but high-quality development undertaken by the Mercers in this area. Jubilee Street itself is named after Jubilee Place, a small alley which marked the Golden Jubilee of George III in 1810. It was the first street to be built north of Commercial Road. No. 116 was clearly built as a public house and is marked on Ordinance Survey maps from the nineteenth century as such, though in recent decades it has housed a funeral directors. It is shown, together with adjoining terraced houses, on OS maps up until the sixties. This particular area largely survived the Blitz, but most of the historic housing stock was sadly demolished for new housing in the sixties and seventies. 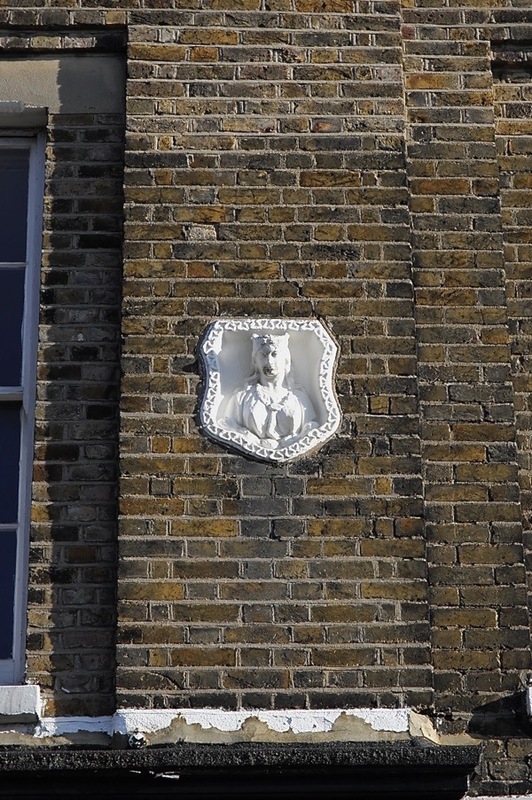 There can be no doubt that if these houses had survived they would be a cherished part of the East End townscape – as are the houses that do survive further north on Jubilee Street and elsewhere within the Borough. During the sixties and seventies, when areas of historic housing were cleared, pubs and churches were often left standing. Unlike the churches however, most pubs nineteenth-century pubs are not listed. Furthermore, as with No. 116, they remain isolated in areas of dominated by modern estates, giving them little hope of being included within Conservation Areas. However, as corner buildings they have a particular architectural distinction, constituting important landmarks, often with curved corners. Corner pubs and were intended to give the adjoining terraces a visual ‘anchor’ and be visible from connecting streets. No. 116 is modest but carefully designed, elegant and well preserved. It now stands alone as an evocative reminder of how attractive and well-cared for these streets were before demolition. • The building is not and does not fall within a designated heritage asset and, in a desk-based assessment, is therefore more difficult to identify as heritage worthy of protection. However, there are general policies designed to protect buildings such as these and it is vitally important that your council employs them in instances such as this. The proposed replacement building is not commensurate with the quality of the building it proposes to replace and will therefore contravene Policy SP10 of your Core Strategy which promotes the conservation of historic buildings and promotes good new design. The proposed scheme clearly falls short of these aspirations. • The National Planning Policy Framework states that planning authorities should require applicants to assess the impact on the significance of any affected heritage assets. This building is certainly a heritage asset and should therefore be assessed in any proposals. • No.116 is an ideal candidate for Local (if not national) Listing. Local Listing is a tool which should be employed to protect historic buildings such as this. Unfortunately, Historic England cannot be relied upon to list worthy buildings proposed for demolition. Your Council must protect the buildings that survived the Blitz and post-war clearance and not perpetuate a legacy of needless destruction of its historic environment. Read the East End Preservation Society’s letter, then use your own words and add your own personal reasons for opposing the demolition. Any letters which simply duplicate the same wording will count only as one objection. 3. Be sure to state clearly that you are OBJECTING to the application. 4. Request the council refuse the application for the demolition of Tadmans. You need to get your people on the Council to protect what is left. Thank you for that – I’ve objected. Have the Mercers Company been contacted about this? Surely they would be interested in helping to save this historic remnant of their estate. Thank you for this post drawing our attention to the possibility of saving the Tadmsns building. I have sent my objection to the demolition, using the clear guidelines set out in the article. My grandmother was born in 1893 at 49 Jubilee St. When I went to have a look I found that this site is now occupied by a fairly unattractive block of flats. But I saw the beautiful terraces at the northern end of the street and felt very sad that the whole street could once have looked like that. Cant you make it easier to send and objection . Although I agree the building should be preserved. In and before the early sixties this shop was a grocers. It was in the late sixties, early seventies that Tadmans moved from their home in Cable Street to this site. It is sadly the same here in the States… it’s enough to make an historian despair!! Keep up the good work. My objection has been sent – from New Zealand. Thanks for letting us know about this latest planning outrage. Objection letter written & posted 10/2/2019. I don’t know know why it still surprises me that LBTH continue to do this sort of thing but it’s legalised vandalism. Thanks for this post, it has encouraged me to register an objection with the council. Objection emailed. Thank you GA for pointing this out to us.